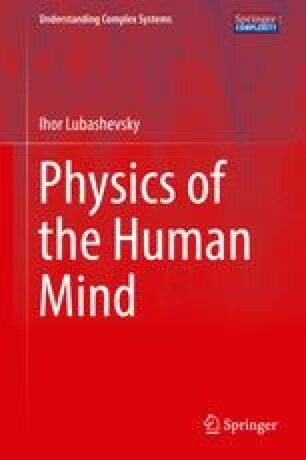 A considerable progress in modeling human actions and social phenomena achieved at the beginning of twenty-first century demonstrates that the notions and formalism developed in modern physics are really efficient in describing systems and phenomena where human role is crucial. It turns our that a wide variety of fundamental notions such as dynamical systems, attractors, deterministic chaos, Markov stochastic processes, cooperative behavior, self-organization, phase transitions play a crucial role in understanding and modeling many mental processes and social phenomena. As a result, a number of novel interdisciplinary branches of science like sociophysics, econophysics, brain dynamics have been developed.